ViaCloud Technologies provides proactive, reactive, and predictive operational services that help clients manage their IT infrastructure for increased productivity and profitability. Our Professional Services offer cost effective solutions that ensure the stability and reliability of our client’s network environment so the internal IT staff can focus on strategic initiatives. Storage and Data Management Assessment - Our Storage and Data Management Assessment provides detailed information about how to best maximize our client’s current storage infrastructure to handle the burden of exponential data growth. This assessment also addresses important issues such as data integrity, redundancy and backup. Security Assessment Services - ViaCloud Technologies’ Security Assessment Services identifies internal and external security vulnerabilities and we provide a comprehensive plan of improvements to prevent and best prepare for a security breach. We offer a full spectrum of security assessment services including SIEM, Pen Test, application, wireless, risk and compliance. Migration Project Services - We help clients that are considering Migration Projects by identifying all the issues involved and advising them on the best path forward. We leverage our extensive vendor contacts and prior experience to review our client’s migration plan or create one that matches their requirements and budget. Wireless Assessment Services - ViaCloud Technologies’ Wireless Assessment Services evaluates our client’s facilities to determine the optimum placement and type of wireless devices for a new or expanding wireless infrastructure. We also review wireless security and make recommendations to protect your data. Infrastructure Assessment Services - Our Infrastructure Assessment Services maps our client’s network hardware topography and identifies deficiencies that are reducing productivity or putting your data at risk and we provide a comprehensive plan of improvement to optimize productivity. Network Traffic Assessment Services - ViaCloud Technologies’ Network Traffic Assessment Services isolates and reports specific network performance problems and we provide a comprehensive plan of improvement to optimize efficiency and productivity. Deployment and Implementation Services - Our Deployment and Implementation Services include working closely with our clients to verify that their network is installed to their exact specifications and needs. As part of this, we receive and inventory hardware, equipment, and accessories to ensure that everything is configured as stated. Our deployment and implementation strategy ensures that the solution is right-sized and flexible for any of our client’s needs. Consulting Services - ViaCloud Technologies’ Consulting Services delivers value at every point, letting our clients quickly capitalize on new opportunities all at a lower cost. We ask the right questions, listen to our clients, and then make recommendations and deliver solutions. Through strategic thinking and access to the best applications, our offerings are unparalleled in their value, and reduce risks, costs, and complexities of IT solutions for our clients. ViaCloud Technologies' Managed Services offer cost effective solutions that address all of our client's day-to-day IT management needs so the management team can focus on their business priorities and strategic initiatives. Our Managed Services offerings monitor, manage, predict, resolve and prevent performance and service problems relating to our client’s critical IT assets. Remote Monitoring and Management - ViaCloud Technologies’ expert team provides comprehensive 24x7 monitoring of our client’s network, server, storage, and voice infrastructure for fault and performance events. Our service provides the breadth of coverage, deep insights and automation that is needed to proactively and efficiently monitor complex IT environments. We can monitor specific devices and systems, or provide monitoring coverage of your entire environment, no matter how dispersed or diverse. 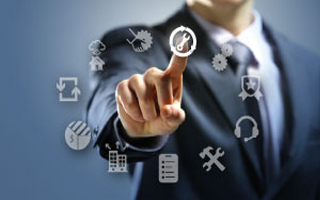 Remote Incident Management - Our Remote Incident Management service manages your infrastructure by identifying and resolving issues promptly and accurately, not only restoring interruptions to service, but further identifying and resolving root cause and making recommendations for prevention to maximize the availability and reliability of the technology infrastructure our clients rely on. Remote Change Management - ViaCloud Technologies’ Remote Change Management service ensures that changes to your environment are implemented in an efficient and accountable manner by a team of skilled professionals. Our service ensures changes to managed components are promptly and properly evaluated, planned, communicated and documented to minimize risk to our client’s business services. Managed Backup and Recovery - Our industry experts design, implement and manage our client’s mission critical backup and recovery environment and help insulate their business and customers from technology failures, natural disasters, and unplanned outages. Our experts design world‑class business continuity plans to keep the most critical systems and workloads available. 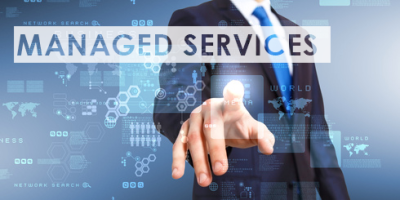 Managed Service Desk - With ViaCloud technologies’ Managed Service Desk offering, we are able to log in and address any issues remotely, without taking valuable time away from our client’s team. We are able to perform routine maintenance and upkeep on client’s desktop, including updates, patches, and defragmentation. Managed Virtual Desktop Infrastructure - Our industry experts design, implement and manage our client’s virtual desktop infrastructure. We provide high performance application delivery to our client’s on­‐campus and remote employees and control corporate data access and application licensing costs with user profiles to meet our client’s employee profiles. Managed Infrastructure as a Service - ViaCloud Technologies’ experts can help clients minimize CapEx for data storage growth and provide the ability to rapidly provision services for application development and test teams and shorten time to market/revenue. Clients are able to eliminate future procurement, management and maintenance of physical assets. Managed Collaboration Services - ViaCloud Technologies’ Managed Collaboration Service enables our clients to improve collaboration with customers and business partners across their entire enterprise. We deploy and manage advanced collaboration technologies to drive enterprise productivity.